We have an open position for a person interested in our growing field of indoor positioning with high precision. We are looking for a person which has some experience in and really makes good SW-design. We offer an open environment and with both generic development as well as customer related applications. We are a small team of 5 people, the atmosphere is open and honest and we enjoy creating our SW and HW to stay at the edge of our domain. We hope you would love to work with our electronic development as well and get the real-time solution well integrated with our positioning and control HW using both radio and ultrasonic technology. Our Customers range from high class companies in Europe and US with the demand for very precise indoor positioning, that being for exhibition purposes, Industrial and process control, or simple hobby solutions where our SW allows a virtual world to control advanced plays and games with real operating drones and vehicles. 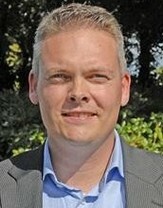 Niels Bo is the CEO and founder of GamesOntrack A/S. He has a long career in the software industry. Recently he left Microsoft as General Manager in Microsoft Business Solutions in Vedbæk, Denmark. He was CTO in Navision A/S when Microsoft took over. 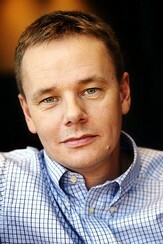 He has founded, and helped grow Beologic A/S as a spin off from Bang & Olufsen and sold it to Baan. He has a long employment in various parts of Bang & Olufsen as well prior to all that. 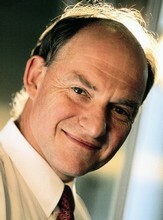 Currently he is on the board of several Danish start up software companies, see www.nbti.dk. Peter is CEO in Spekva A/S, a high technology production company of custom design table surfaces. Peter has a strong background in the electronic business from Kirk Telephone to Bang and Olufsen telepnone and mobile division and PCB production at GPV Industry. Peter is chairman of other software companies as well. Søren is a senior Software Marketeer and technology evangelist with a long tradition in large software companies like Oracle and Microsoft. Søren recently left Microsoft in Denmark as a Director, Developer- and Platform Evangelism, and is now Business Manager at Software Innovation A/S. Søren has created a lot of connections and support for many software ventures in The Øresund Region, as well in the mainstream application areas as in the more specialized gaming and geo-positioning area. Søren is board member of more software companies in Denmark. Carsten Sørensen is Vice President of ABB Oil & Gas Process Automation Division in Denmark. 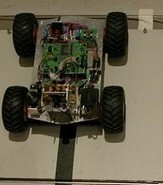 Prior to this Carsten was Vice President of the ABB Robotics Division. Carsten also has a background in the IT industry working for first IBM and later on for Microsoft. One of his experience areas is mobile communication and applications. He had a leading role within this technology area in the global Microsoft R&D organization, and afterwards at the Microsoft ISV partner thy:solutions, where he as Vice President of Product Management was responsible for developing their business within mobile business applications across several industries. GamesOnTrack A/S is a small but internationally working company with a very strong niche product in Indoor Positioning. We develop our own products in SW and electronics which support an easy to use 3D set of applications for any object moving indoor. Our customers range from high class technology companies in Europe and US, to single users applying our solutions in their private environments. Our workplace is Holstebro, however we also work partly in Germany and US together with our customers. Among other things GamesOnTrack provides the indoor position solution for the Danish UAW-project and we take pride in demonstrating our 10 mm precision technology for many different and growing application types. 3D SW is difficult to make simple, we do our outmost to have private customers who understand what indoor positions really means in order for us to provide better and high quality solutions to other companies who then can embed and integrates our graphical solutions into their products. Enabling a small vehicle or drone drawing a sharp picture of routes and frames in 3 D is a challenging and fun trigger for us helping customers to use positioning for simpler and better automatic solutions.